One day back in high school, Kayla tugged on her friend’s arm and pointed to a guy down the hall (Fun Fact: this is the same high school I went to. RDP!) She said something along the lines of “Hey, he’s pretty cute!” That guy was Steven. Fast forward through graduation, and their paths cross again. Kayla & Steven started hanging out and soon found that they had so much in common. 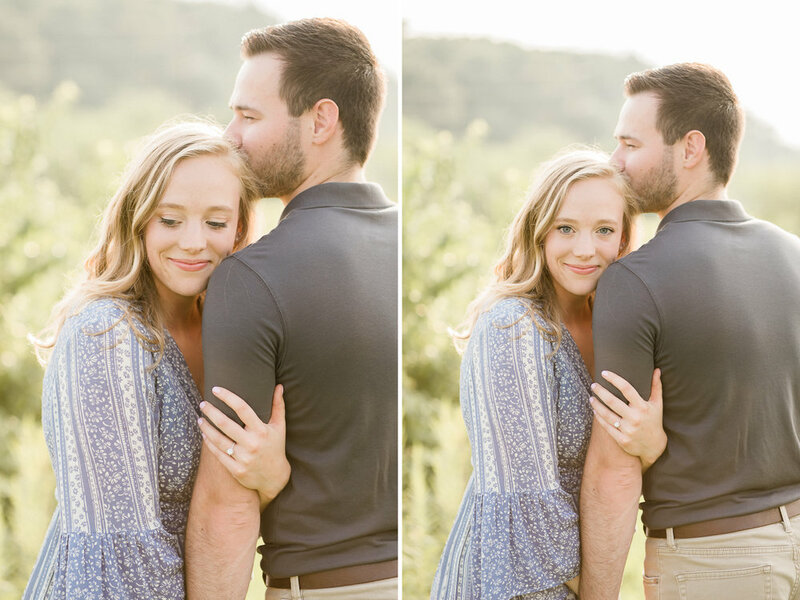 One summer night, in an arbor covered with twinkling lights, Steven got down on one knee and asked Kayla to spend forever with him. Of course, she said yes! :) I loved getting to capture these two cavorting through fields and snuggling under the late summer sun during their engagement session. I can already tell that their wedding next May is going to be a total stunner and I cannot wait! Keep scrolling to see some of my favorite moments that we captured.